Each Mini Lodge has a wood-built food preparation porch to provide extra convenience for your stay. Each porch has an internal light and contains a cooking stove with 2 burners (gas supplied). We also supply you with a kettle, teapot, bowls, mugs, cutlery, chopping board and knives, variety of kitchen essentials, washing up bowl, washing up liquid and a large plastic food storage box – so you are all set to go. There is even coat hooks for your outdoor wear! 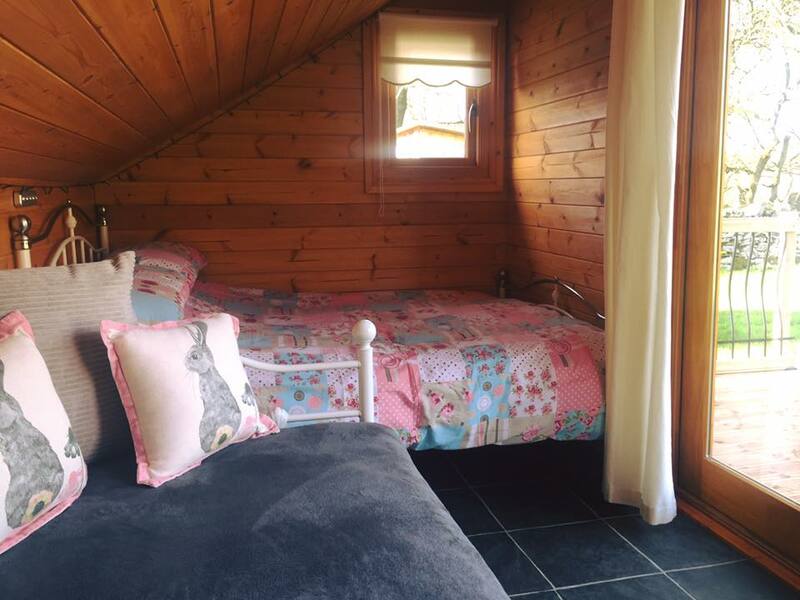 The Mini Lodges are £50 per night low season, £55 per night high season or £300 per week. There is a two night minimum stay Bank Holidays and in high season. Each Lodge has its own private decking area with a picnic table and fire pit… all you really need to bring along is, towels, food & drink! 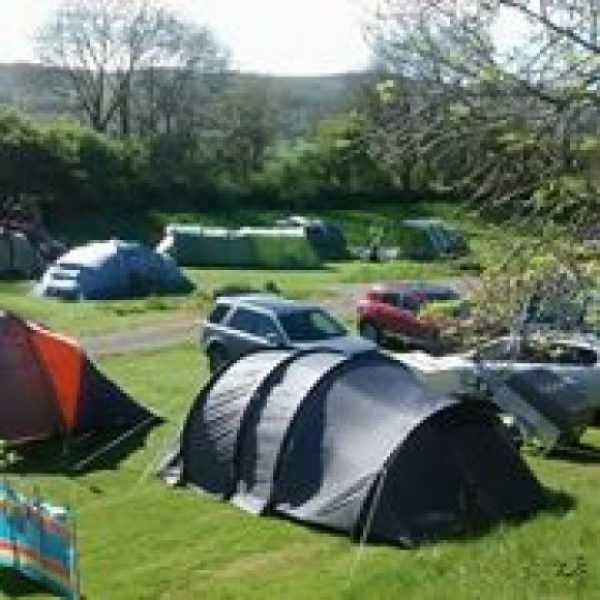 We also have Four beautifully furnished Yurts, sleeping 6 people comfortably. 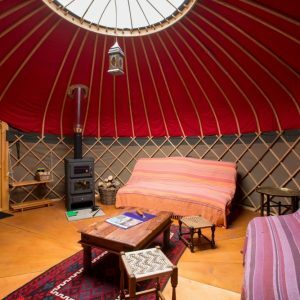 Each yurt has it’s own cosy wood burning stove, adding warmth as well as novelty to your camping experience. Three of the Yurts have a fantastic wood burning Hot Tub an experience not to miss. Fire pits are available on request free of charge – limited supply so please request when booking. Bags of wood and kindling/firelighter are available for purchase on-site from the farm shop. Electronic device charging points are available in the shower block at a cost of £1 per half hour.